Jazakum Allahu Khayran for your interest in MuslimMatters. All content submitted to MuslimMatters grants us license to use, copy, modify, and display such material, in whole or in part, in any manner or medium for any purpose that we choose. Please understand that we recieve many submissions daily and as a volunteer-run organization there is a significant wait time of up to 4-6 weeks. If your post is selected for publication you will receive an email from us. Please mark all current events post in the title of the article ie. CURRENT EVENTS: TITLE. 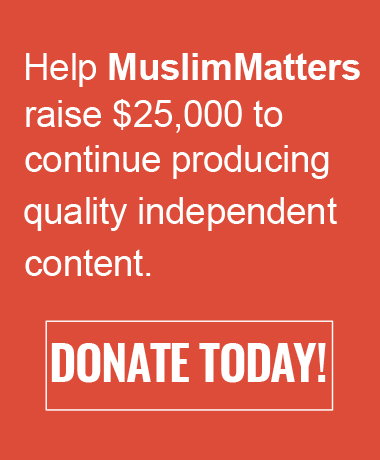 MuslimMatters does not currently pay guest writers. However, it does invest its time in developing writers and giving them a platform. Minimum word count is 750 words. MM receives a large volume of submissions but publishes very few of them.Therefore, submissions should preferably be polished, pre-edited, and relevant to the mission of Muslimmatters. All submissions become the property of MuslimMatters. If you do not hear from us in the 4-6 weeks time period after submission, the possession of the article goes back to the the writer.